I was listening to satellite radio (i.e. Sirius) yesterday and stopped on the hard rock station, Octane. The band that was on at the time is called Stone Sour and they were singing their new song, Do Me a Favor. I am familiar with the band but had never heard this particular song before; the lyrics didn’t strike me as any radical departure from the norm of today’s hard rock. The song had plenty of angst and rage directed outwardly; the lyrics didn’t really leave me with an understanding of who or what the target was for all the rage, although the imagery in the video suggests the lyricist has some daddy issues and a beef with the Catholic Church. Basically, I see the song as just another contribution to a culture that is already bursting at the seams with angst and rage. In fact, the first line of the song begins with, “I am an anti-everything man…” so that kind of lets you know from the beginning where the whole thing is going. I know it may be a little difficult without the melody, such as it is, but the way it is sung leaves the listener with the impression that someone’s behavior is why there is no savior. Now objectively that is ridiculous. No one’s behavior, good or bad, can cause a savior to exist or not exist. Or can it? Let’s hear from our theologian – Dr. Ralph Martin. For although the Catholic Church has been endowed with all divinely revealed truth and with all means of grace, yet its members fail to live by them with all the fervor that they should, so that the radiance of the Church’s image is less clear in the eyes of our separated brethren and of the world at large, and the growth of God’s kingdom is delayed (UR 4a (my emphasis added)). Not every proclamation of the gospel can be deemed “adequate,” either because of deficiency of content, manner, or witness of life, and therefore not everyone who apparently rejects such an “inadequate” preaching of the gospel can be judged culpable of unbelief” (Martin, 53 (my emphasis added)). This is really significant and should be a wake up call for Christians. If our “witness of life” (i.e. “behaviors”) is an inadequate representation of the gospel, then it is the Christian who will be held accountable for their neighbor’s unbelief. For example, if you preach and preach at your neighbor about reforming their lives and returning to the Church, but everything they see you do is contrary to the gospel, then the fact they didn’t choose to believe and return to the Church is as much on you, as it is on them, maybe even more. You shall love the Lord your God with all your heart, and with all your soul, and with all your mind, and with all your strength. The second is this, ‘You shall love your neighbor as yourself.’ There is no other commandment greater than these (Mk 12:30-31). Greater love has no man than this, that a man lay down his life for his friends (Jn 15:13). But I say to you, Love your enemies and pray for those who persecute you (Mt 5:44). I think you might be catching on by now on what Jesus’ expectations for us are (I sure hope so!). It is possible, sadly it is even quite common today, for people not to believe there is a savior, to think one doesn’t even exist. And why is that? Well, it might be they have hardened their hearts to such a degree that no amount of persuasive talk and loving generosity will change their mind. If that is the case, we are not released from our obligation to love them but they will held culpable for the unbelief. However, there is a chance that some are not as convinced by persuasive talk as they would be by seeing a living example of Christ’s love. If they can’t see that in us and decide all our talk is just that – talk – then it us who will be held accountable for their unbelief. Seventeen years after its first publication, The Catechism of the Catholic Church continues to fascinate and instruct readers around the world. Today’s column enumerates a few of the things that inspire and delight me about The Catechism. Call it Catechism trivia if you like. The idea for the Catechism of the Catholic Church came in the first days of the Extraordinary Synod in Rome in October 1985. John Paul II convened this meeting of the world’s bishops, who were the presidents of their national bishops’ conferences, to commemorate the 20th anniversary of Vatican II. The bishops discerned that, as the world has become a “global village,” there was a growing need for the one faith of the Church to be proclaimed in a single universal volume. Not that there weren’t already catechisms available. But there had not been a UNIVERSAL catechism, or major catechism, in over 400 years, since the Roman Catechism of 1566, following the Council of Trent. Historically speaking, this was a big deal for Catholics. And a major undertaking of faithfully handing on the Deposit of Faith, as received from the Apostles through the ages. It required a systematic catechetical overhaul of the Roman Catechism, while maintaining integrity of content. Plus it must incorporate the enormous wealth of two millennia of Christian experience. The goal was to create a universal resource that made the teachings of the Catholic Church accessible both for the modern Catholic, and for generations to come. In 1986, following the Synod’s recommendation for a new universal catechism, John Paul II assigned Joseph Cardinal Ratzinger to lead a commission of bishops and Cardinals to develop the next universal catechism. Ratzinger, a renowned theologian and author in his own right, and the Pope’s go-to man as Prefect for the Congregation for the Doctrine of the Faith, would later become Pope Benedict XVI. Finally, the first edition of the Catechism of the Catholic Church was presented in October 1992 in French. It was the 30thanniversary of the opening of Vatican II. The English edition arrived later in 1994. The official Latin version was published in August 1997. To date, The Catechism has been translated into over 50 languages. The Catechism is both concise and comprehensive. It uses a numbering system, as do many ecclesial texts, to reference its subject matter. There are 2865 numerical paragraphs in total. · Part One (beliefs or creed) represents 39% of the content, and covers paragraphs 1-1065. · Part Two (sacraments) = 23% and covers paragraphs 1066-1690. · Part Three (the Christian life) = 27% and covers paragraphs 1691-2557. · Part Four (prayer) = 11% and covers paragraphs 2558-2865. The actual doctrinal portion of The Catechism covers about 700 pages, depending on font size of the version you read. It’s multiple indices and glossary are 100-200 pages. In June 2005, Benedict XVI released the Compendium, a shorter, more concise format of The Catechism, using a question and answer format. It does not replace The Catechism, but serves as a faithful introduction to the doctrines presented in the larger work. The Documents of Vatican II are the second most quoted source. (You might want to have a copy of that handy too! Or use the resource below.) Sixteen other ecumenical councils from history are also quoted. The writings from 22 popes are quoted, as is Canon Law, and numerous other ecclesiastical documents. Hundreds of quotes from over 50 saints, Church Fathers, and Doctors provide a wealth of inspiration for one’s meditation. By the way, 6 of which are women: St. Thérèse of Lisieux, St. Teresa of Avila, St. Rose of Lima, St. Joan of Arc, St. Catherine of Siena, Blessed Elizabeth of the Trinity, and the Christian mystic Julian of Norwich. The most quoted saint in The Catechism is St. Augustine with 87 citations, followed by St. Thomas Aquinas with 61. To conclude, allow me to share useful websites for your reading. While I always encourage Catholics to buy copies of The Catechism for their personal reading, I realize that many Catholics find their reference needs online. The sites below are worthy of bookmarks in your browser. 1. My favorite source for The Catechism on-line is the website sponsored by St. Charles Borromeo’s Parish. This is a wonderful apostolate, and their site has a very user-friendly search engine: http://www.scborromeo.org/ccc.htm. 2. The United States Catholic Conference of Bishops also has The Catechism online, but the search engine is difficult to use. 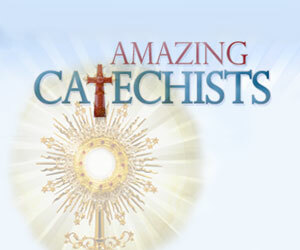 However, their site provides the glossary to The Catechism, which is handy, and not always found on other sites:http://www.usccb.org/catechism/text/. 4. The Catechism uses the Revised Standard Version (RSV) of the Bible in its text. To browse or search the RSV Bible, go here:http://quod.lib.umich.edu/r/rsv/. 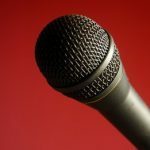 This article first appeared at CatholicExchange.com.